Hot Wheels 3D slot :: FREE GAME - Click Here! July 8th 2013 (Press release) – New 3D slot ‘Hot Wheels’ distributed by B2B casino games developer SkillOnNet has screeched its way to the top of the Company’s 3D charts in its first week. 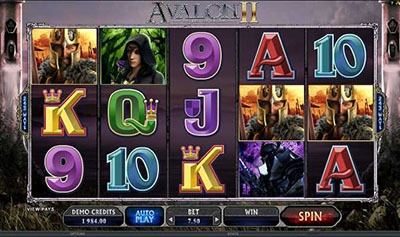 Looking to build on the great success of their 3D slot game series SkillOnNet rolled out this exciting new 3D slot game to its Network of owned and licensed online Casinos two weeks ago and results already in show it to be the biggest ever release of a Company developed slot. There are mirrored reels and driving through the desert you need to match helmets, spanners, petrol pumps, maps and road signs. 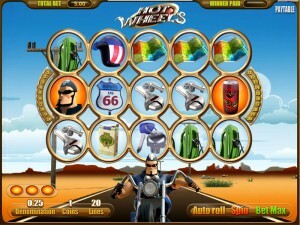 The cool biker himself is your wild symbol, multiplying your chances to win big! Collect 3 energy drinks to trigger the Adrenaline Mode for up to 20 free spins with multipliers of up to 100x and move into the fast lane. SkillOnNet is a major provider of software for the gambling industry offering first-class development and distribution services to some of the major online casino brands via a fully managed B2B white label solution. 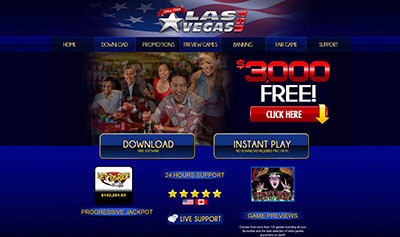 Online casinos on the SkillOnNet casino platform such as EU Casino, PlayMillion Casino, Casino RedKings and Mega Casino provide players with the fastest growing selection of top-rated titles bringing the online gaming experience to new levels.